As an entrepreneur, I’ve learned not to define a company’s success by profit alone. Rather, we must focus equally on building a strong culture. 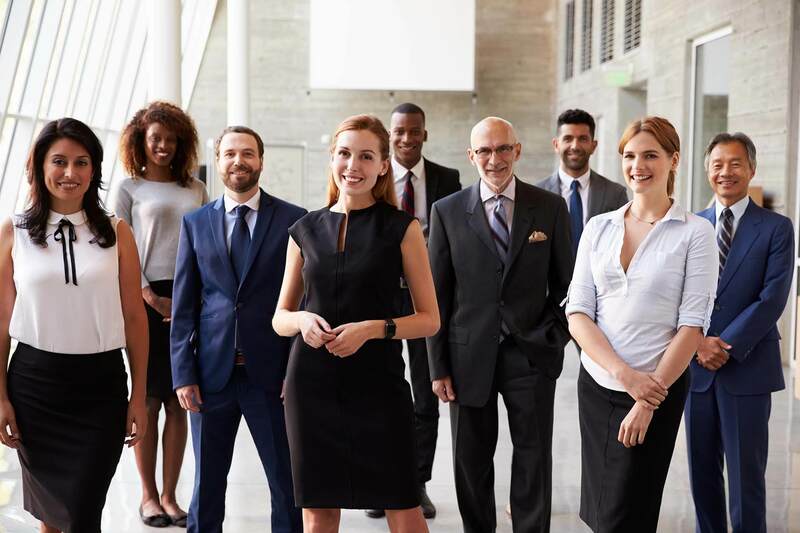 It’s not easy — the dynamics within an organization’s culture require ongoing attention and nurturing, and the right decisions aren’t always immediately clear. As priorities shift, we must remain agile and comfortable with change. Through these challenges, companies can grow — and grow up. What’s surprising is that the lessons to be learned along the way can also translate into how we help our clients — for our team, with branding and marketing strategy — by applying an understanding of how to build trusted relationships. Smart growth comes down to five core areas of focus. As you grow, every business is faced with defining its focus to ensure it never becomes too diluted. Are you comfortable saying a certain course of action is not right because it’s not who your business is or what you’re good at? In periods of fast growth, there is a constant pressure to refocus and stay the course without missing important turns or forks in the road. It can be difficult to keep your brand’s and company’s actions consistent and true to the mission as the team gets bigger. Focusing on your strengths as a leader, a team and a business can help to guide you — but only if you work to pay attention to these pieces every day. Build a sense of collaboration by embracing change and input from others, but be cautious not to lose the vision and the mission of the brand you built in the process. In the public relations and marketing industry, we’re always preaching the importance of a clutter-free message. But, we know this isn’t easy. The difference is that our no-clutter thinking is designed to drive everything we do, from our office space to our relationships. Get to what’s important, faster and without distraction. This “no clutter” core value is important as a way of doing business and doing it well. If a relationship feels heavy, it’s likely carrying a burden that requires attention. If a task feels overwhelming, it may be bogged down with unnecessary clutter. When things don’t seem to be moving fast enough, cut out the clutter and reassess. Never lie, never cheat and always be fair. As an entrepreneur, not everyone will like the decisions you make. But if you make decisions based on honest relationships, you’ll sleep comfortably at night. When you own a business and you’re growing fast, you will face difficult decisions. Understand that feeling of discomfort and embrace it. It’s also valuable to understand people and delivery. Manage your own response to a situation, rather than simply reacting. Whether with customers, employees or vendors, you must become a master of your emotions. Move through the tough conversations sooner than later, and never let the anticipated discomfort of a reaction delay the need to address an issue. Know the numbers and the people. The balance sheet and the team culture should hold equal value in the organization. This can be tough if you employ an intergenerational workforce. Millennials value different things than Generation X, and some days it feels like a crapshoot trying to build a business that engages and satisfies everyone. In the end, it becomes more and more important to balance the numbers and the people to support greater success. For me, success is seeing a team embrace their full capabilities, respectfully pushing each other for better outcomes and delivering work that makes us all proud. Focusing on these five core areas will help your business identify what is important, guiding decisions in the process of building a true team and defining your own success. Mandy Arnold is the president of GavinÔ Advertising, a digitally minded public relations and marketing agency devoted to truth in branding and driving action. You can contact her at 717-848-8155 or email [email protected] www.gavinadv.com.